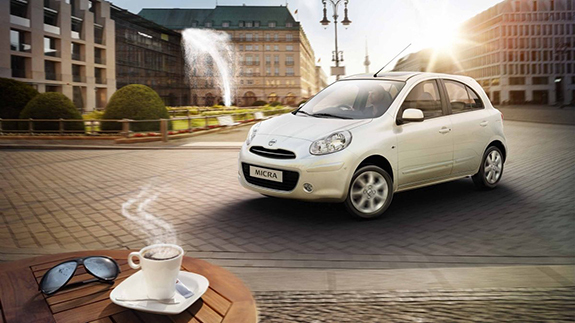 Looking good has never been easier, the Nissan Micra certainly knows how to make a good impression. 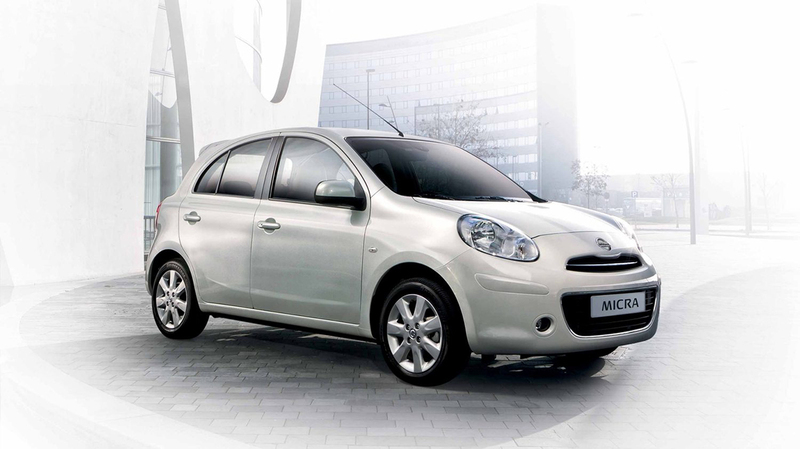 The Nissan Micra greets every drive with a bold front grille and multi-lens headlamps and says “see you later” with a roof spoiler and bright red tail lamps. A striking impression whether it’s coming or going. 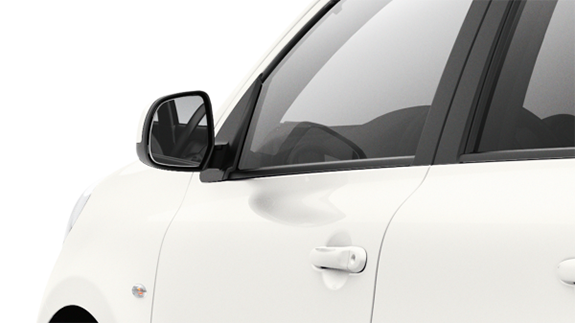 Keep an eye on traffic around you with powe adjustable mirrors. 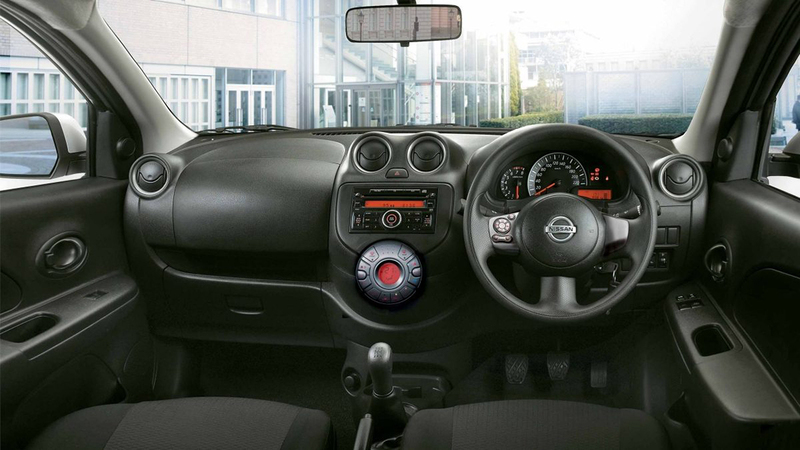 The interior of the Nissan Micra was designed to create a spacious, comfortable atmosphere, as well as house an impressive array of intelligent features. 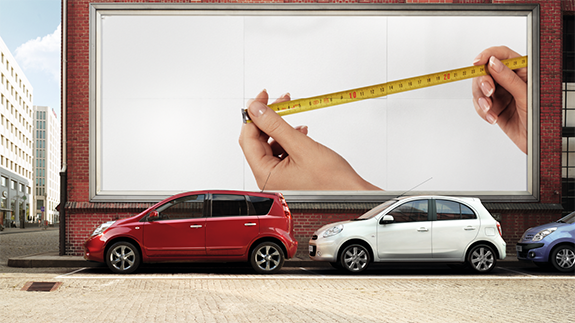 You’ll be surprised at just how much fits inside. 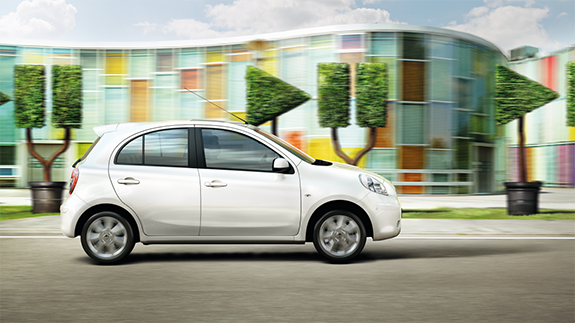 Enjoy the premium style of the suede effect trim on the seating surfaces and matching door panels inserts. Contrast double stitching adds the final touch. 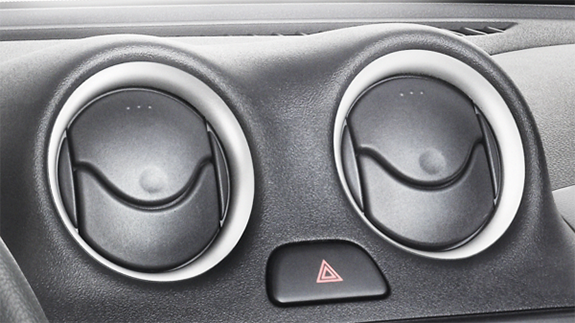 Unlike conventional vents, these circular air conditioning vents allow you to pinpoint exactly where you want the air to go. 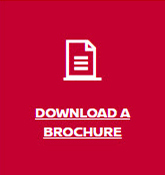 Thoughtful, adaptable and well-organised. 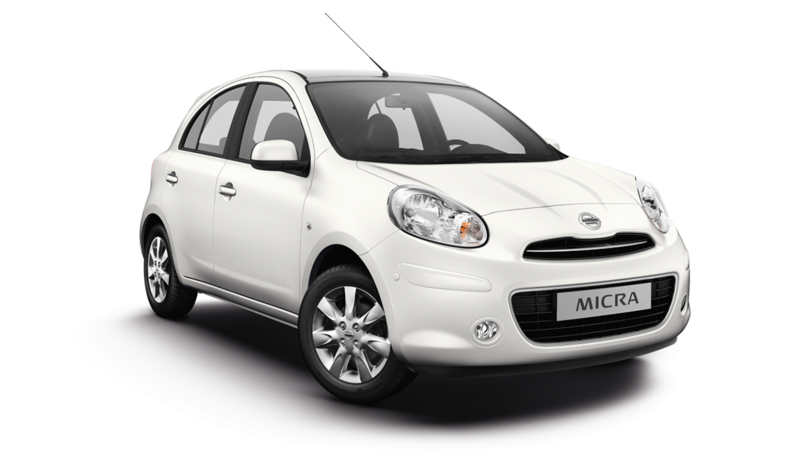 The Nissan Micra has all the features that make your drive more enjoyable and confident – with easy ways to load and store your stuff, and the details that take care of you wherever your journey leads. A well-deserved breath of fresh air. 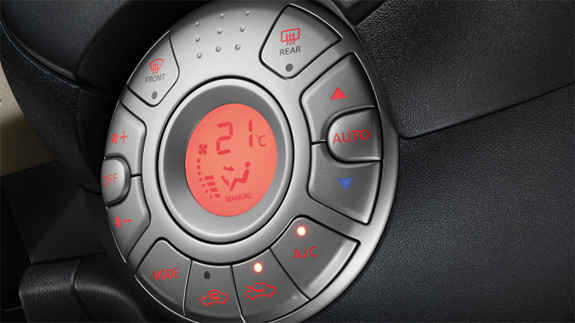 Set your perfect temperature on the automatic climate control and let it actively adjust the air temperature and fan speed to keep the cabin as toasty or chilly as you like. 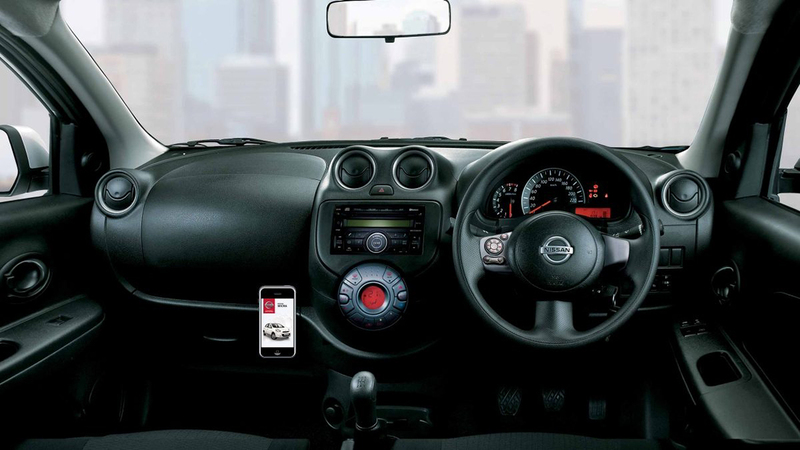 Get the most out of your drive and keep distractions to a minimum. 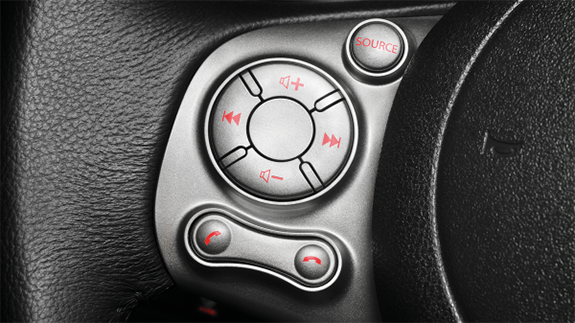 Steering-wheel mounted controls allow you to adjust audio volume, and make and answers phone calls. 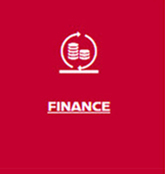 You can customise the vehicle information displayed in the multi-fuction display to show the fuel economy, driving range or outside temperature. 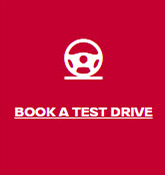 The Nissan Micra has a very tight turning radius, making for easy manoeuvring even in the tightest parking garages and back alleys. 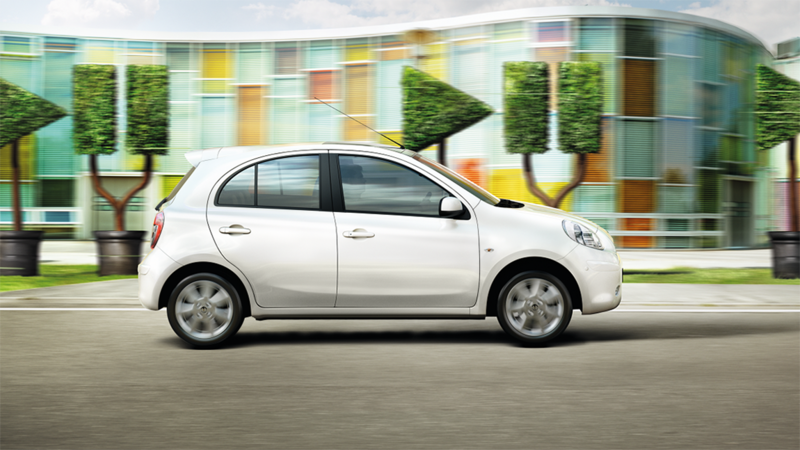 No one gets around the city more effortlessly than the Nissan Micra. 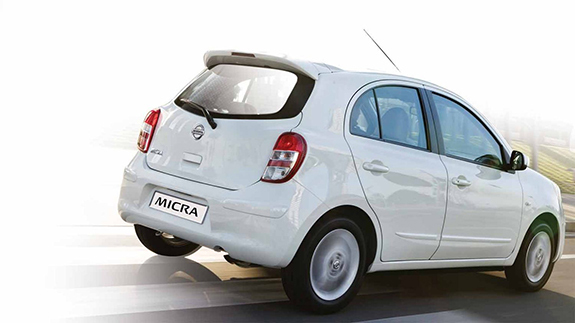 Stay well-organised and maximise your cargo-carrying ability with the flexible storage and seating solutions in the Nissan Micra. 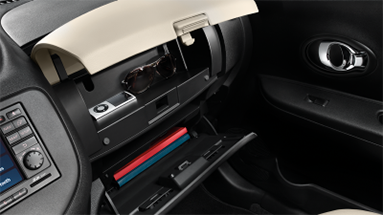 The dual glove box has plenty of space to hold important vehicle necessities, valuables and personal items securely and away from prying eyes. 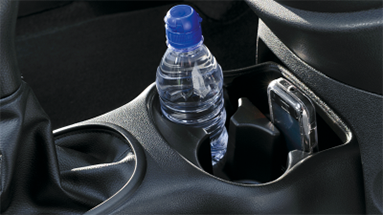 Bottle holders located throughout the cabin make sure that driver and passengers alike will always be able to have their favorite beverage within arm’s reach. 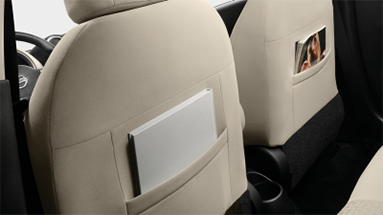 Seat back pockets are a smart place for rear passengers to store mobile devices, magazines or other small personal items within easy reach. 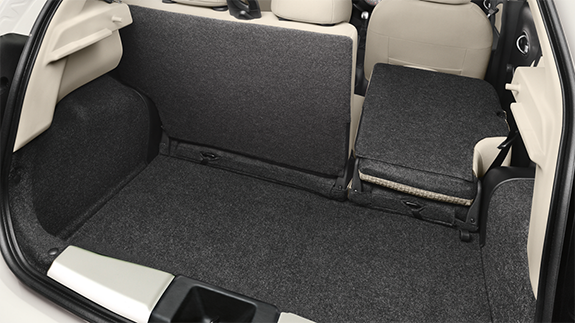 Quickly and easily adjust the rear seats from maximum cargo space. 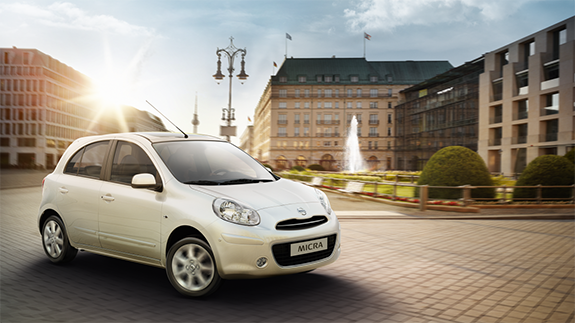 With a 60/40-split configuration, you can adjust the interior to hold cargo and 2, 3, or 4 passengers. 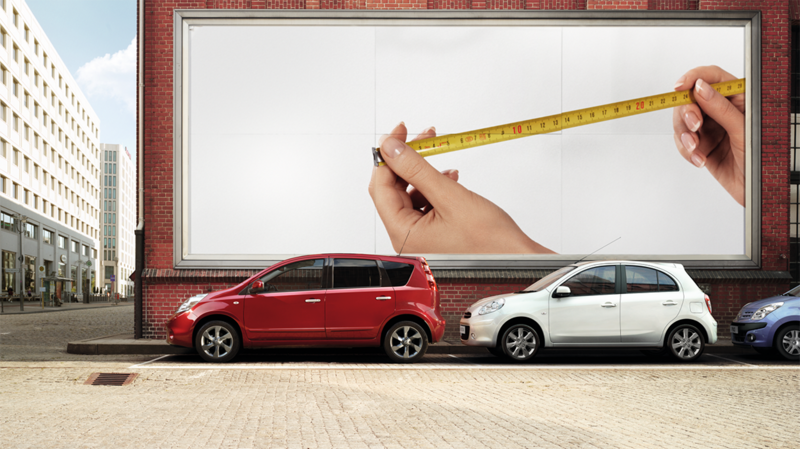 never have to leave a large item behind. 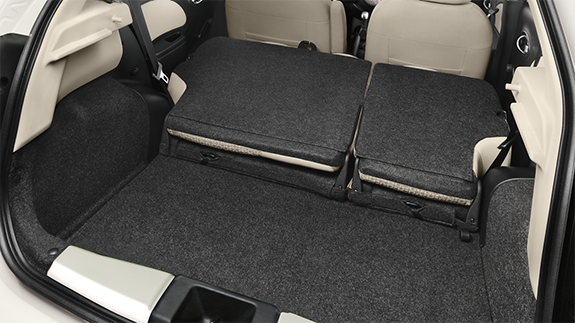 The rear seatbacks fold down to make the most of the rear cargo space fpr carrying large luggage or hauling around small funiture with ease. 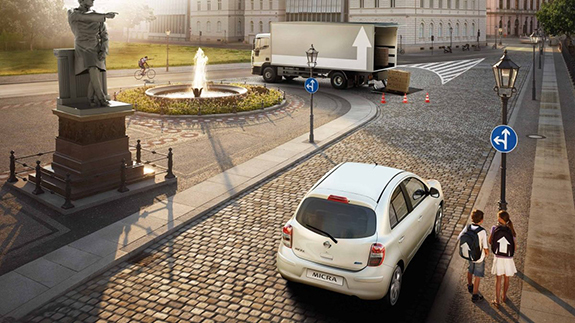 The Nissan Safety Shield is a comprehensive approach to safety that guides the development and engineering of every vehicle we make. 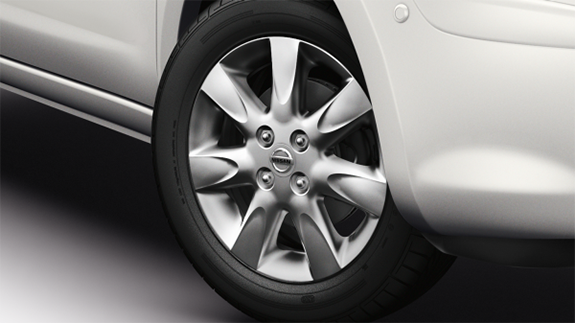 This combination of safety features is Nissan’s way of looking out for you and yours. 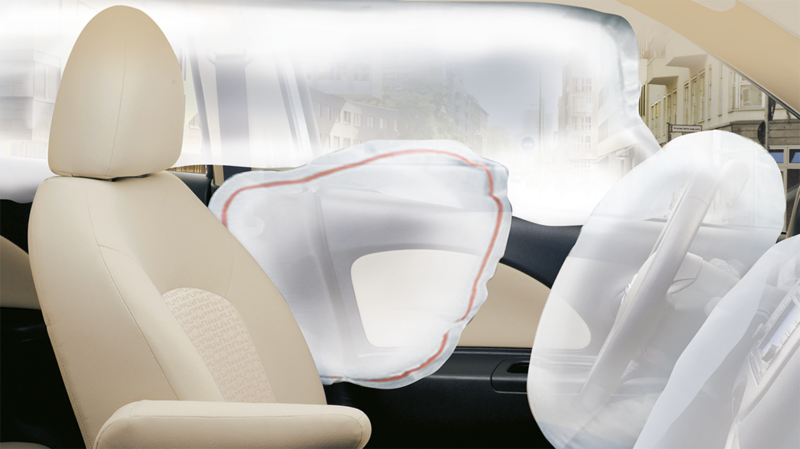 The Nissan Micra offers front, side and side curtain airbags to help give protection to all passengers. 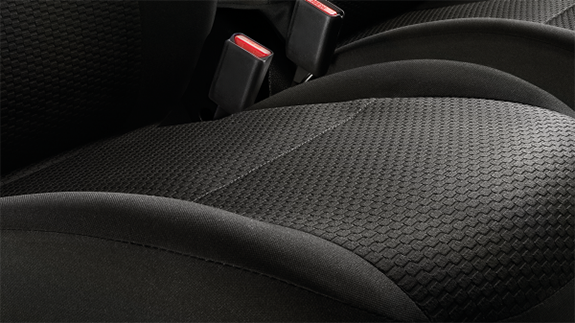 The front passenger airbag can be easily deactivated if you need to install a baby seat in the front. 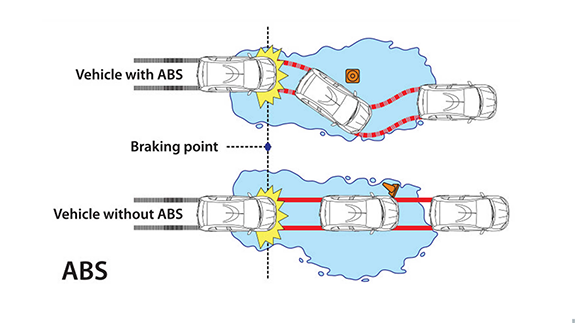 The Anti-lock Braking System pumps the brakes faster than you could in sudden braking situations to help prevent wheel lockup, allowing you to better steer around obstacles. 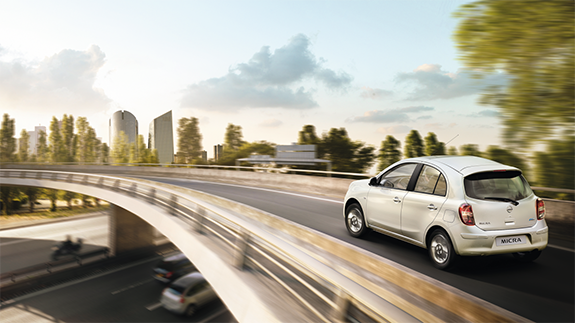 Striking and excellent balance between useable power and economy, the 1.2-Litre engine puts out a healthy 56kW. 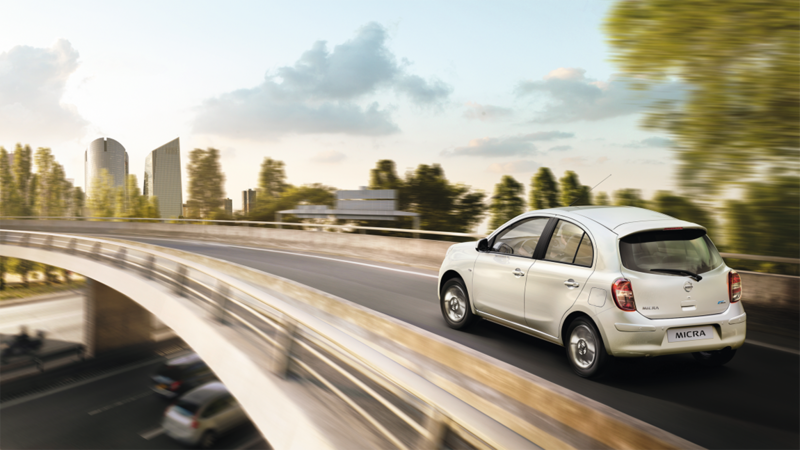 While swiftly cruising around the city, you’ll appreciate the strong fuel economy and minimal CO2 emissions that allow extended intervals between fill ups. 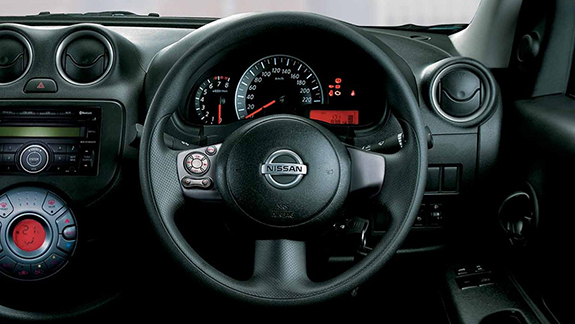 The slick-shifting, 5-speed manual transmission in the Nissan Micra helps you get the most out of the engine’s power and offers an enjoyable, engaging operation.